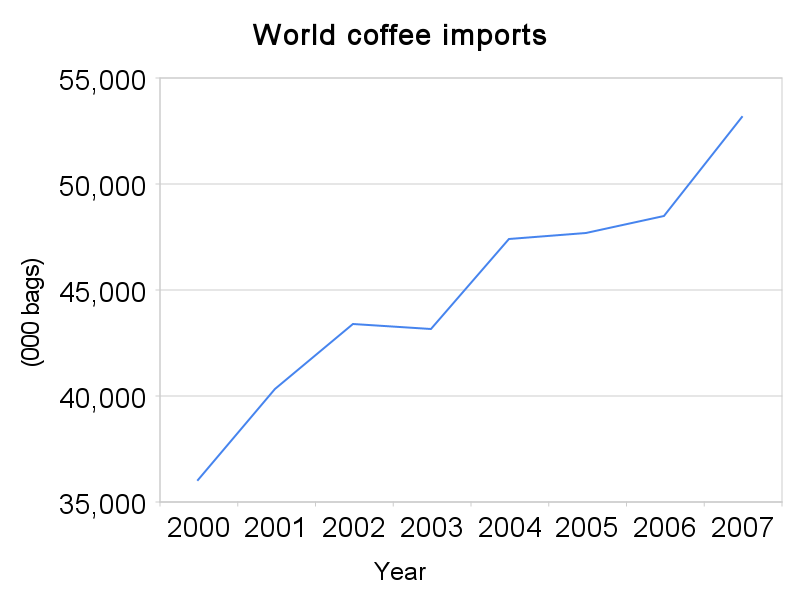 Having read about the impending world coffee supply issues, I thought I would have a look at some of the raw data. 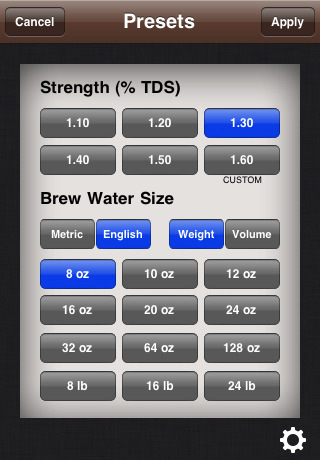 The International coffee organisation provides a great set of data that you can download. Firstly I would like to say that I am not a statistician or economist, so please feel free to comment on the data and charts if you feel they are not a good representation of the actual data. All references to bags are 60kg coffee bags. So who are the big producers of coffee? 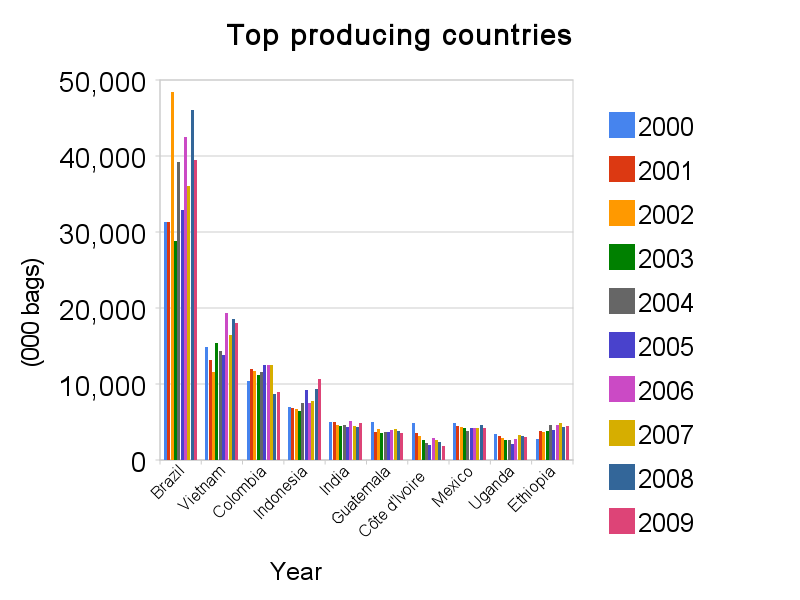 The following chart outlines the top 10 producing countries over the period of 2000 to 2008. Brazil is by far the biggest world producer of coffee. 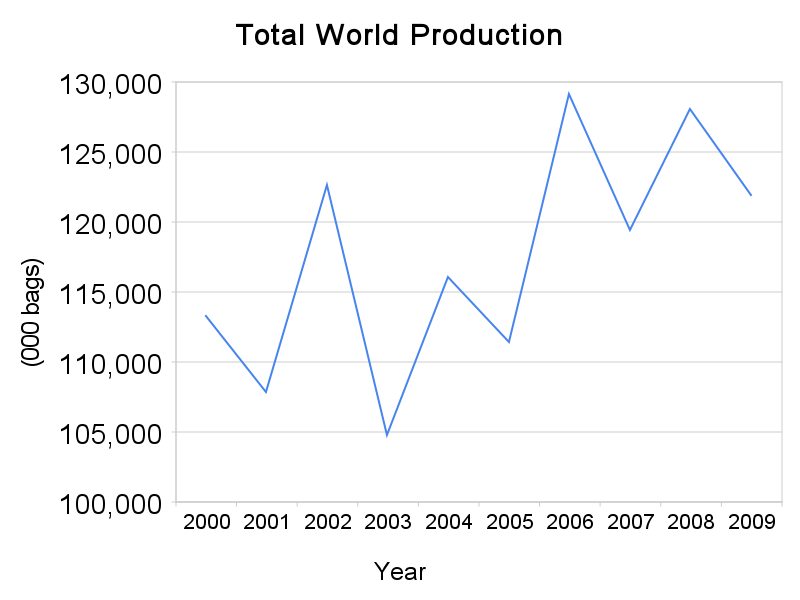 Has the world been producing more and more coffee over the years? 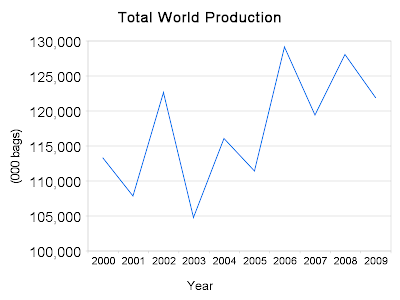 Well as the following chart shows coffee production is on the up but is rather erratic. 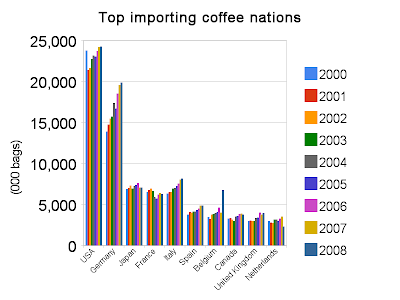 So who drinks all the coffee, which countries are the big importers? 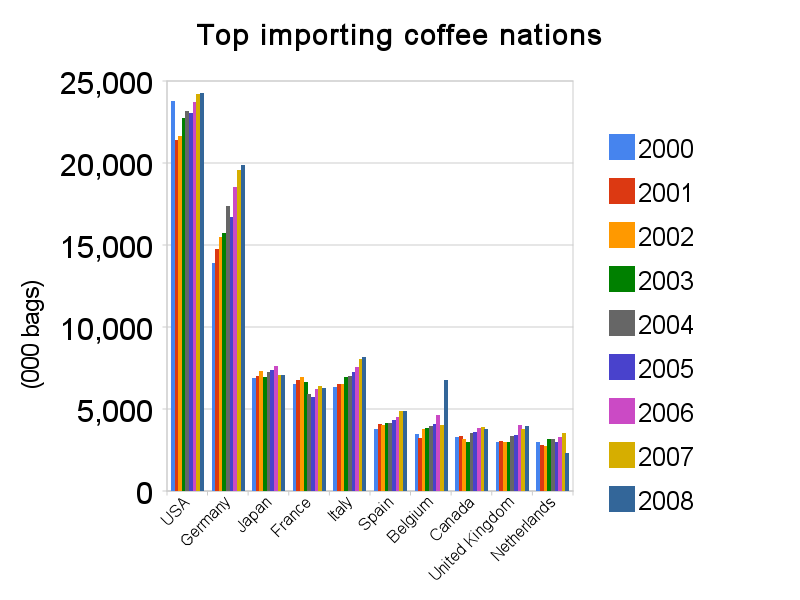 The USA and Germany import the most coffee. 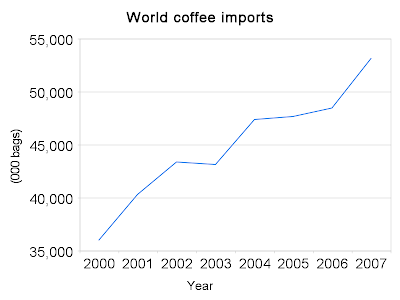 Let's now look at the total world coffee imports, there is a significant rise in total imports. What is happening in New Zealand? 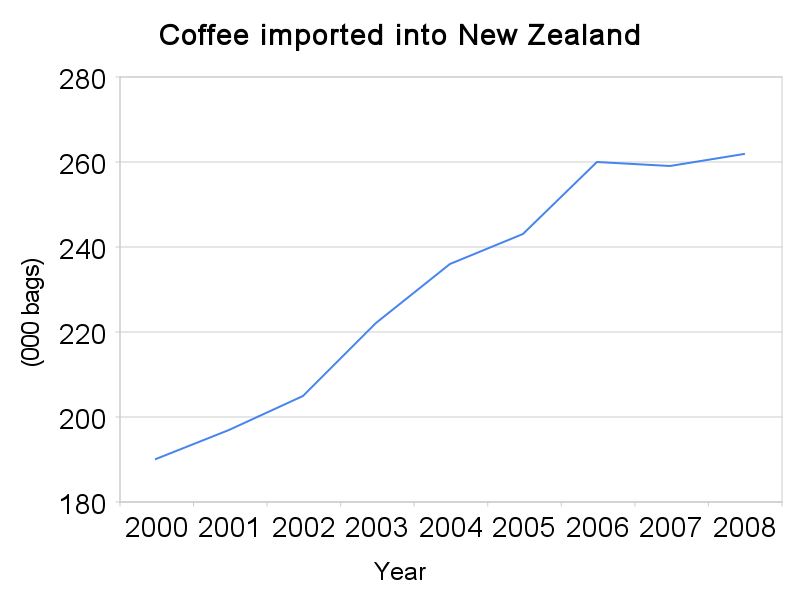 Are we importing more coffee? Looks like we are, but are we reaching a plateau? 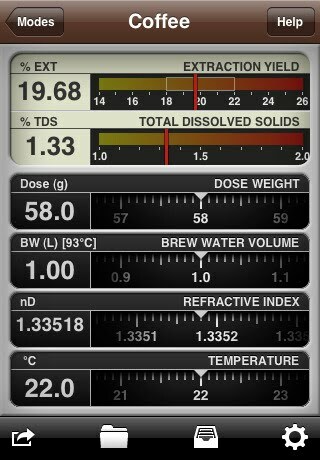 So how many espressos can we make with 260,000 60kg bags of coffee, given that approx 8 grams is used per cup? There are 4,268,900 people in NZ so we each drink about 450 cups a year. 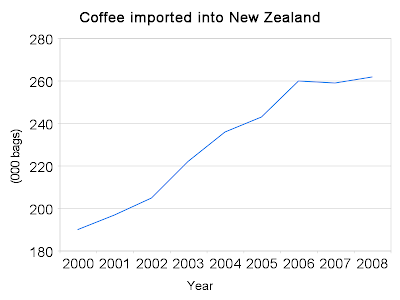 Other interesting aspects would be to compare total imports per capita, and also what the coffee price is doing. 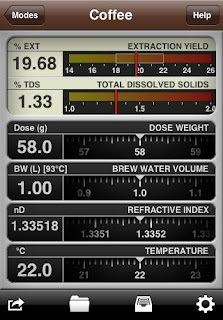 MoJoToGo is a Universal Refractometer application that will convert native refractive index and temperature measurements into information relevant for Coffee and Espresso professionals. It looks like a fantastic tool to fine tune your extractions and make them more consistent. 58 billion paper cups are thrown away - and are not recycled - every year. 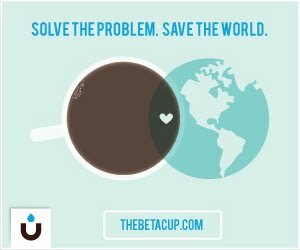 The Betacup's goal is find the best ideas to eliminate paper cup consumption and asks all of you to get involved. They are currently running a contest with the submission deadline being the 1st of June 2010. I would have thought the popular keepcup would have featured. The coffee secrets website is in it's final stages of development, we hope to make it live in July 2010. The plan for this blog is to provide some entertaining news and also keep you up to date what we are doing with the site.